I know that most times moms expect gifts when it’s mother’s day, or something special. They always appreciate it, but nothing melts their hearts like a gift – especially techie gifts – coming when there is nothing to celebrate. Because of that, you can pick any of these 13 techie gifts for moms which we collected to help you celebrate her. If you can get more than one, it will even be better. For a mom that is always on the go, you can get her the Fitbit Charge. With this, she will be able to monitor her activities and her heart rate. It is a must-have for everybody so starting with mom shouldn’t be bad. Does she love music and working out? A pair of great headphones would be a very great idea. She can get on to listening to her cool music or her favorite radio shows. 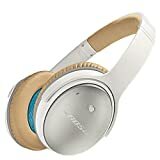 A white Bose QuietComfort 25 is what I will recommend you get. It is sleek, beautiful, comfortable, and great in audio performance. Yeah, it’s a smart world. Get her a better smartphone than what she is now using. This may not be one of those out of the box ideas, but it will definitely bring many smiles to her face. You can decide on trying out an iPhone if she doesn’t have one, as it is one of the most popular techie gifts for mothers. We all need one don’t we? Mom needs one too. The good news is that there are many that are not very expensive. 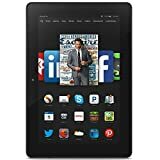 However, if you can spend more than 400 bucks, I will suggest the Fire HDX 8.9 Tablet. What I will recommend here is the. That will be almost a life changer for her in the kitchen because it is practically 7 kitchen appliances in 1. 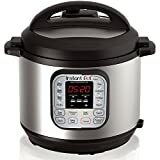 It comes as a Pressure Cooker, Slow Cooker, Rice Cooker, Steamer, Sauté, Yogurt Maker and Warmer. More so, it will slash her time in the kitchen by up to 70%. There is hardly a mom with hair on her head that doesn’t need a hair dryer, most times they don’t think of it, or they are always too busy to buy one. There are many out there but I am sure she will love JINRI Hair Dryer 1875W Professional. That is what I use, and trust me, it is priceless. This is going to beat what most other things can do for her. It will be able to tell her the weather, play music, radio, jokes, the time, facts, and many other things. Even though it may not be her Google assistant, it will do a lot of things that you won’t even believe. You are welcome. 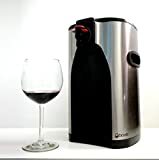 If she works too much that she finds no time to relax, you can tell her she needs to relax a little with a simple wine dispenser that will always tempt her. You can get the Boxxle Box Wine Dispenser for her. It is very frustrating to everyone when you keep that key and can’t find it. For a mom that almost always misplaces her keys, the wise call here is the wireless key finder. What this does is to indicate where the key is. It’s that simple. 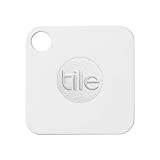 Check out the Tile Mate which can even help her find different things including her phone. Is mom health conscious? Get her a very good blender that is easy to operate for her fruit juice and other things. Trust me, this will go a long way. My pick here is the Ninja Professional Blender & Nutri Ninja Cups BL660. It is the choice of many people. 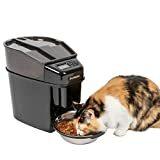 For a mom that loves pet more than anything else and yet she is a little busy, beat it and get her an automatic pet feeder. She will definitely love the PetSafe Healthy Pet feeder. 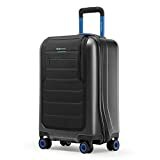 If she travels a lot, a smart luggage is the best thing you can get for her. 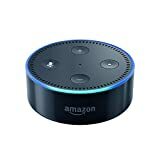 With the Bluesmart One that I will suggest, she gets GPS functionality, phone charger, remote lock, and other interesting stuff. Above all other techie gifts for moms, a security system may just be the most important whether she lives alone or not. The Canary All-in-One Home Security Device is the picture here. It lets her know of every movement in the house, as it comes with both video and audio capabilities.